Here's answers to some of your more frequently asked questions. Good question. Tenderstem® is the (perfectly natural) love child of Chinese kale and broccoli, star-crossed lovers of the vegetable world. What does Tenderstem® broccoli taste like? A bit like broccoli but way better - it has a sweet, nutty flavour, similar to asparagus, all wrapped up in a gorgeous crunch. What is the nutritional value of Tenderstem® broccoli? Tenderstem® has many nutritional benefits. It's high in folates, plus it's a good source of fibre and protein. How do you cook Tenderstem® broccoli? Well! Tenderstem® can be blanched, boiled, stir fried, steamed, deep fried, grilled, roasted, barbecued or eaten raw.... You name it, we’ve probably tried it. Can I eat Tenderstem® raw? Of course! Tenderstem® is so… tender, it’s raring to go, straight from the pack; just add it to your picnic or lunch box. Happy days. How much Tenderstem® makes up 1 of your 5-a-day? Seven stems. That is all. Is Tenderstem® broccoli a superfood? Yes, with lots of health benefits this stemsational veggie is certainly super. It's high in fibre and protein, very low salt and fat free. Where is Tenderstem® broccoli grown? 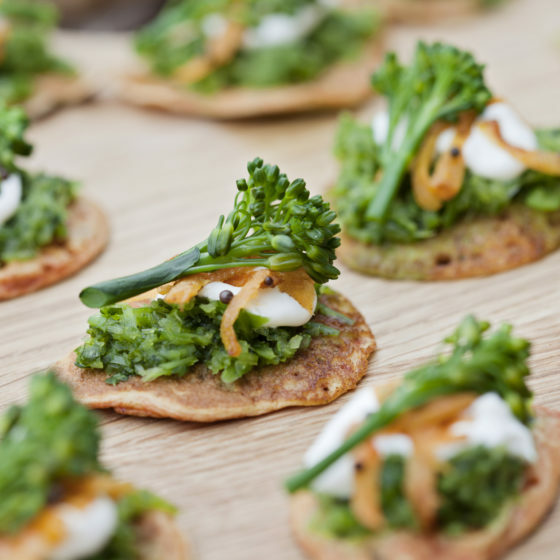 A large portion of Tenderstem® is grown in the UK, however to ensure we can bring it to you all year round we also source it from Kenya and Spain. How many calories are in a standard serving of Tenderstem®? Each 100g serving contains just 35kcal.